Doctor Who? Jodie Whittaker, That’s Who! Like everybody else around the world, I was super excited to see the debut of the new Doctor on last night’s episode of Doctor Who! 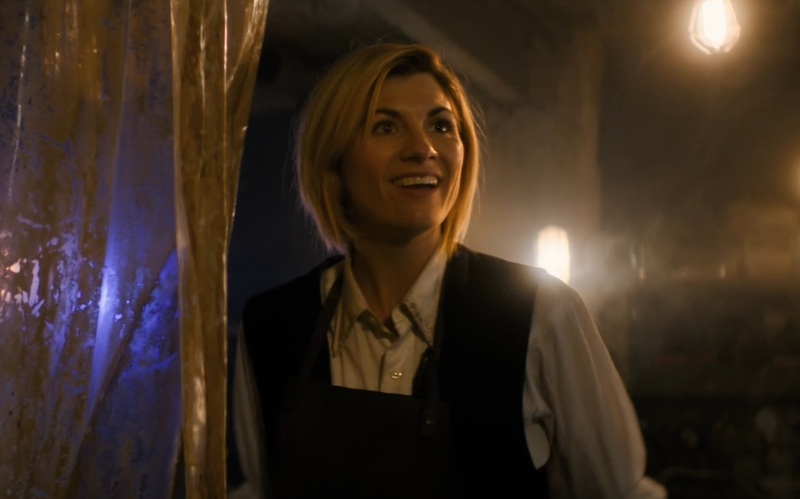 Jodie Whittaker took on the role of the first female version of the Doctor, and I think she nailed it. She was warm, heroic, delightfully scatterbrained and very friendly. She should be a great Doctor! As with all Doctors, I’m especially looking forward to when she can really sink her teeth into the gravitas and mythology of the Doctor. She needs some damn good speechifying. 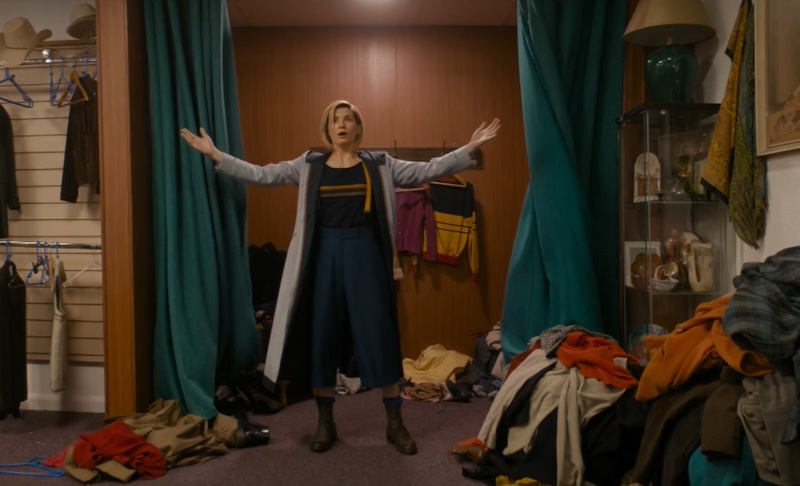 I like all of the new companions so far — Yaz, Graham and Ryan — and I’m looking forward to a more crowded TARDIS. That should be fun. The episode itself — “The Woman Who Fell to Earth” — is largely fine. The villain was cool and there was plenty of time for Whittaker to be entertaining. But there were a couple gripes that really dragged it down for me. The companions were a little too quick to join up and start following around this crazy woman who claimed she was an alien. No hesitation, very little questioning, everybody just loads up the car and follows the Doctor around like puppy dogs. SPOILERS for the first episode. I also didn’t like how the show handled Grace’s death. Grace was a fun character, but the show underplayed her death to the point that I wasn’t even sure what she was doing zapping that alien machine. I rewatched some of the scenes to figure it out, that she felt her grandson was in danger. I suppose that ball of electricity and tentacles was zapping the crane, but I don’t think we actually saw Ryan and Yaz in danger. They didn’t react or act like they couldn’t get down safely. Then all of a sudden, this grandmother is dangling from the side of a crane and stabbing the alien monster, and of course she falls to her death. But the show really underplayed the moment, I felt, and didn’t give it enough foundation. There was nothing in the climax that indicated the Doctor couldn’t handle the problem after she took care of the main villain. So it felt like Grace died unnecessarily. 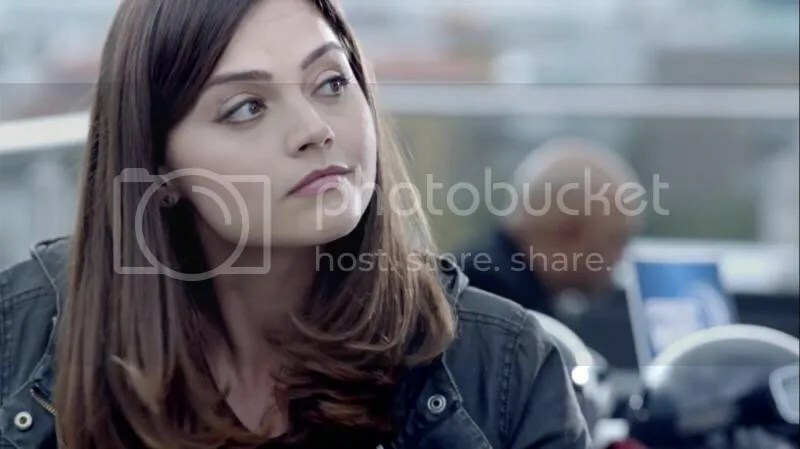 And then the episode rushes through her funeral and everybody is back to being friendly and hanging out as a group with the Doctor immediately afterwards. I dunno. It just didn’t sit right with me. It felt rushed. Especially when you consider that funerals take a couple days to plan and pull off. So was the Doctor crashing on one of their couches or something? And did she really just redress in the same clothes each morning? 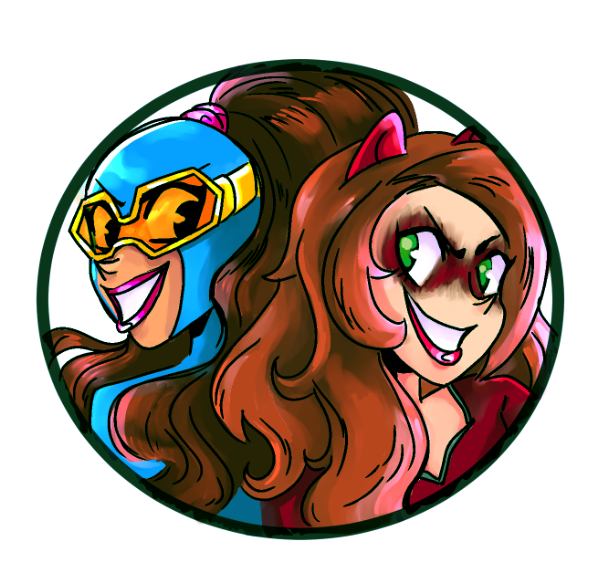 Personally, I think they should have stretched out adding all three companions to the team, and kept Grace alive for a bit longer. Maybe start with Ryan and Yaz joining the Doctor this episode, leaving Graham and Grace to fill the Jackie Tyler role of loved ones staying home. It’s been a long time since we had a companion who left family behind. Then they could have built both Graham and Grace as characters, until Grace does end up dying in a real tragedy. Then we’d actually know the character and her death would matter, and that’s a solid excuse to add Graham to the TARDIS to tag along with Ryan. Anyway, that’s just my two cents. Solid first episode, Whittaker was great as the Doctor! Official Friend-of-the-Site Only Leigh is back with a fun little cartoon addressing the craziness of a female Doctor head-on! As usually, it’s funny and just plain fun. If it needs to be repeated, I’m a huge fan of the choice of Jodie Whittaker as the new Doctor. I think it’s great that the show is going with a female Doctor and I’m very much looking forward to her seasons. Unfortunately, we’ve probably got an entire year of waiting before the new Doctor Who season starts. That Christmas special is not going to have enough Jodie, I bet. New Doctor Who Teaser Trailer! The new season of Doctor Who is going to launch on Sept. 19, which is awesome. And apparently it’s going to feature a whole bunch of monsters and craziness and adventures! Also, something is definitely up with Peter Capaldi’s hair. I can’t be the only one who prefers it closer cropped? Giant and puffy doesn’t do it for me. So San Diego Comic-Con is in full swing this weekend. We’ve already got confirmation that Ben Affleck is going to make a solo Batman movie with Geoff Johns, and there’s all sorts of comic book news pouring in. Being a lazy person, I’m going to do my best to keep up with all the news that I actually find interesting, like this Doctor Who trailer. If there’s anything specific you’d like to hear my thoughts on, just let me know in the comments! And if you spot anything really good, you can email me tips at hench4hire@gmail.com. Doctor Who? Peter Capaldi, That’s Who! Like the rest of geekdom, I watched the season premiere of Doctor Who Saturday night with bated breath, eager to see how new Doctor, Peter Capaldi, would do in the role. I wasn’t around either time when David Tennant and Matt Smith took over, I had to catch both of those regenerations in reruns online. So Saturday’s episode was my first real time experience with a new Doctor. 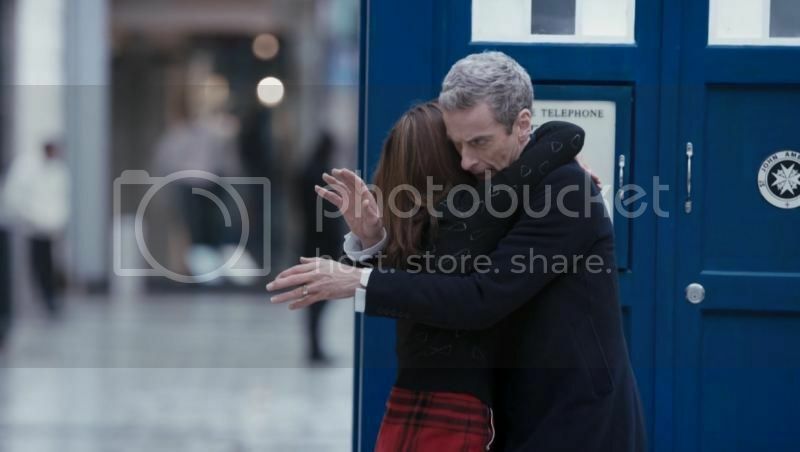 The episode itself – Deep Breath – was pretty good. Not one of the best of all time, but that’s fine. I think I liked it more than any episode in Season 7. I love the Pasternoster Gang – Vastra, Jenny and Strax – so seeing them with the new Doctor was really fun. I hope they stick around, because it’s a hoot seeing a new Doctor interact with his former self’s supporting cast (though now that I think about it, Capaldi didn’t spend much time at all with Vastra and friends). I also really liked Clara in this episode. I think Season 8 is going to try to build her up a bit more – before she leaves around Christmas, of course. 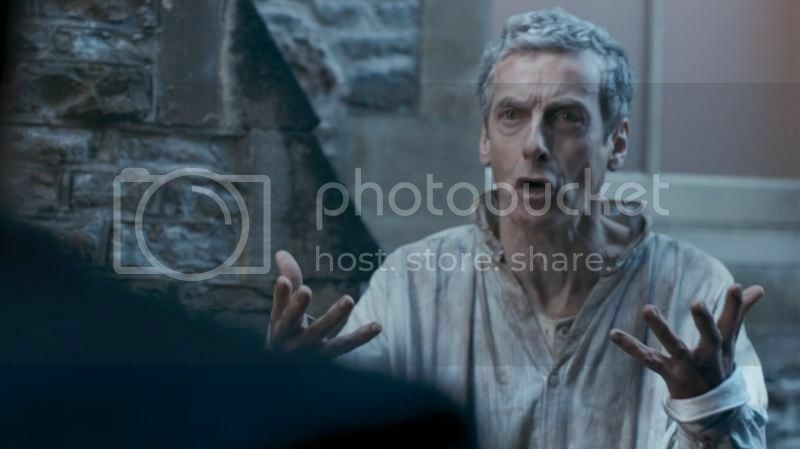 But the real draw of the new episode was Capaldi himself – and he absolutely nailed it! Oh man, that was an exciting performance. I knew to anticipate a lot with Capaldi, even if I haven’t seen any of his other shows, but he lived up to all the hype and hope. He was wickedly sharp in his performance, a touch more serious than Matt Smith. Once he gets his mind settled and emerges as the Doctor, Capaldi commands every scene he’s in. Whether he’s alarmed at his eyebrows or bantering with Clara, Capaldi fits perfectly as both the Doctor and his version of the Doctor. In fact, I loved the banter the most. Whether they’re talking about the Sonic Screwdriver’s voice commands, or bickering about who is the bigger egomaniac in a booth at a family restaurant, Capaldi and Jenna Coleman worked great together. I’m now even more excited about the new season. The cameo at the end was nice, but I think I liked Capaldi’s response even more. He made a great first impression, and I’m confident he’s going to make a great Doctor.